The Stolen Princess, Ukrainian animated feature with the biggest box office, will be seen by multimillion television audience: on November 17 at 7 PM, Novyi channel will host the cartoon’s TV premiere. The wonderful fairytale story about love which is stronger than magic has demonstrated impressive results in the national theatrical release where it has collected over 36 million UAH this spring. The work on the project lasted for five years. The voices of the cartoon include such celebs from Ukrainian show business as vocalists from Vremya i steklo band Nadya Dorofeyeva and Positive, TV show host and actor Yuriy Gorbunov, showman and TV host Serhiy Prytula, boxer Oleksandr Usyk, singer and producer Potap, TV show host Masha Yefrosinina, musician Oleg “Fahot” Mykhaylyuta, and many others. The celebs were also involved in the creation of soundtrack: Vremya i steklo as well as Jamala recorded their songs for the cartoon. 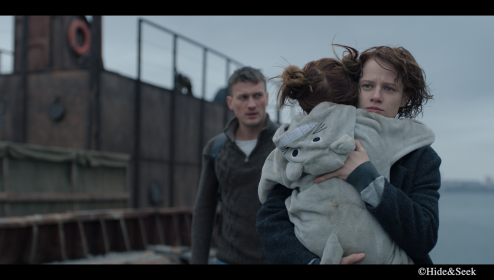 Along with the screenings in Ukrainian cinemas, The Stolen Princess started its successful career abroad. Presently it has been released in more than 40 countries, and its journey is still going on. Finally, Ukrainian animated feature with international recognition will be shown to the TV audience at one of the most popular Ukrainian channels. The national TV premiere for The Stolen Princess will take place on November 17 at 7 PM on air of Novyi TV channel. ”We are delighted that The Stolen Princess is coming back to its motherland after a trip around the world. We expect a grand TV premiere on the Novyi channel and are happy that almost half a million of cinema audience will be complemented by many million in front of TVs. For Animagrad it will be a critical day because our project will be viewed by a somewhat new audience which did not see the cartoon during its theatrical release for this or that reason,” says Egor Olesov, cartoon producer. ”We have followed the triumph of The Stolen Princess in cinemas with hearts aflutter. 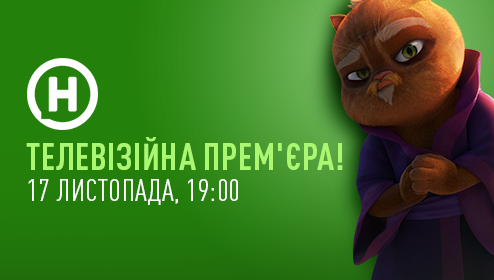 And we are convinced that the same success awaits the TV premiere of the Ukrainian cartoon! Everything in The Stolen Princess is excellent – the eternal love story, dazzling characters, tons of humor, and a great decision of using voices of Ukrainian show business for the cartoon characters! Just imagine how cool it is to watch the cartoon and guess whose voice the character has! This could be Sergiy Prytula, Nadya Dorofeyeva, Yura Gorbunov, Potap or Masha Yefrosinina! At Novyi channel, we are happy to host the TV premiere!” says Olga Balaban, director of promotion department at Novyi TV channel. You can follow project news at the official Facebook page, Instagram account, and cartoon website. About the film. This amazing story took place in the beautiful city of Kyiv, in the times of brave warriors, fair princesses, and powerful sorcerers. Wandering actor Ruslan who dreams to become a knight has met beautiful Mila and fell in love with her, not even suspecting that the girl was the daughter of Kyiv prince. But the lovers’ happiness was short-lived: evil sorcerer Chornomor appeared in a magic whirlwind and kidnapped the girl right before Ruslan’s eyes, planning to transform the power of her love into his own magic prowess. Without further ado, Ruslan set out on a chase after the stolen princess so that, overcoming all obstacles and dangers on his way, he could prove that real love is stronger than magic.